Home›Reviews›Sin City Sinners - Vegas' Hardest Working Band Welcomes Twisted Sister's Eddie Ojeda! 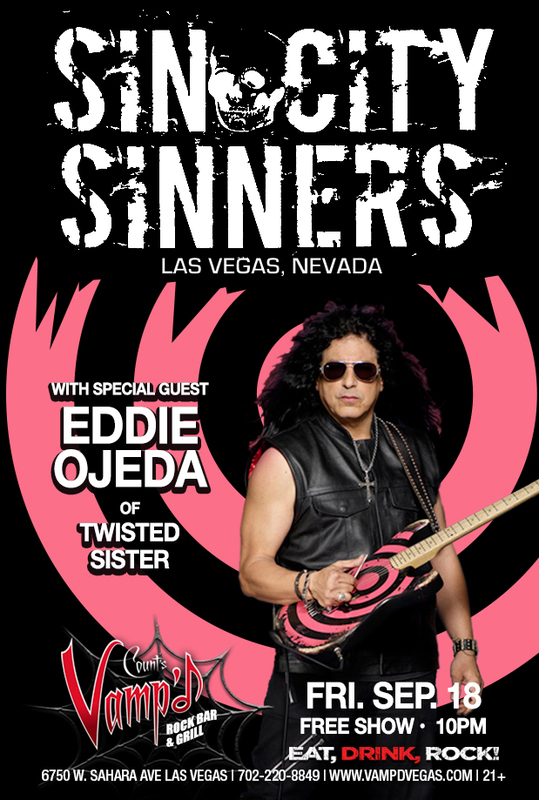 Sin City Sinners - Vegas' Hardest Working Band Welcomes Twisted Sister's Eddie Ojeda! 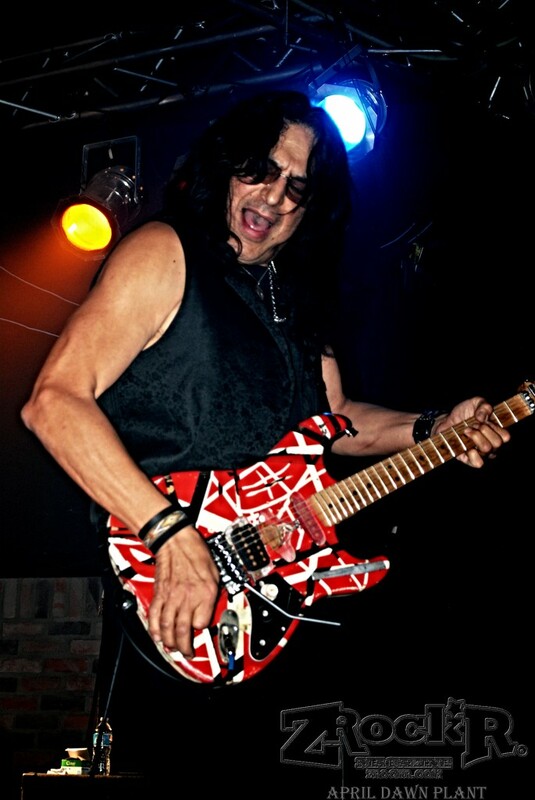 Sin City Sinners jammed with Eddie Ojeda of Twisted Sister at Vamp'd on Friday, September 18, 2015. 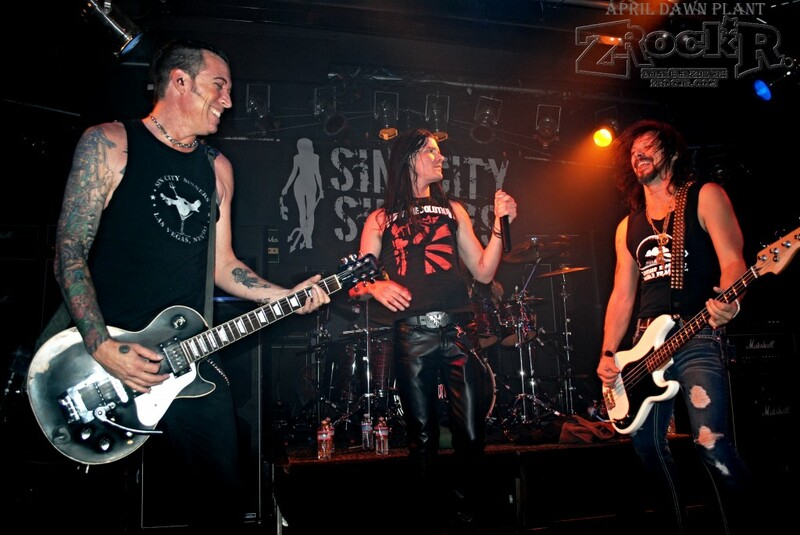 Eight years later, the Sin City Sinners are still doing their thing in Las Vegas, and beyond. The title of “The Hardest Working Band in Vegas” is not just a gimmick; these guys are always keeping busy, be it on the stage or in the studio. 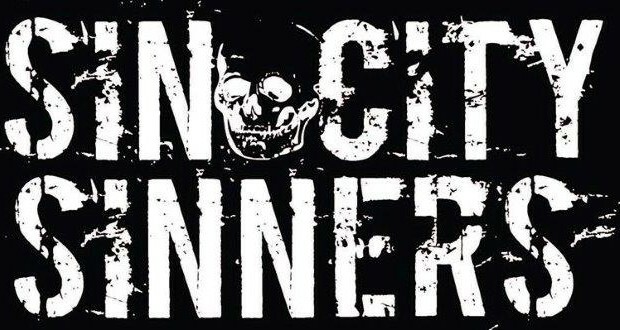 The current Sin City Sinners lineup consists of vocalist Joshua Alan (Blackbox 13), guitarist Michael “Doc” Ellis (Love/Hate, he previously played bass for the Sinners), bassist Scotty Griffin (LA Guns), and drummer Blas Elias (Slaughter, Blue Man Group). The lineup has changed drastically over the years, but this is a band that has always remained fresh and kept up a power-pop sound of their own, combining covers with appealing originals. A new album of original material is due out by the end of the year. (Left to Right): Doc Ellis, Joshua Alan, and Scott Griffin. Of course, the Sin City Sinners shows are often made even more interesting by the presence of special guests. On this evening, the band was joined by a guest this fan had not seen with the band before – Twisted Sister guitarist Eddie Ojeda! The band always manages to impress with their special guests; guests scheduled to play shows in the near future include Bruce Kulick (KISS, Grand Funk Railroad) and David Ellefson (Megadeth). As is usual format for Sinners shows at Vamp’d, the show started out with a performance by the core band, with Ojeda joining them just over half into the set. The first half of the show was pleasantly surprising; this is my first time seeing the band since they began incorporating more songs from their forthcoming next album into the set. As the members of the band alternated vocal duties on a number of the new tracks, it is likely that forthcoming release could be the most diverse and interesting album from the band yet. Of course, we got the obligatory covers as well; the group always manages to select a nice mixture of songs in addition to their original material. Tracks covered included songs by AC/DC, Dramarama, Queen, Grand Funk Railroad, Slaughter, and countless others. No one can deny the talent of this particular incarnation of the band; they manage to impress with each and every performance and keep the audience surprised. And then, of course, the band welcomed Mr. Ojeda to the stage. This is what fans were looking forward to, and I am pleased to announce that he did not disappoint in the least. 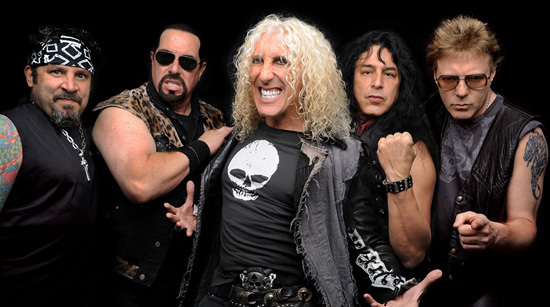 Revisiting classic Twisted Sister cuts like “Stay Hungry,” “We’re Not Gonna Take It,” “I Wanna Rock,” “The Kids Are Back,” “You Can’t Stop Rock and Roll,” and my personal favorite, the underrated-as-hell “Shoot ‘Em Down,” were more than done justice by Vegas’ hardest working rockers. One thing that has always impressed me about the Sinners is their ability to learn the songs of a special guest, and to do said songs justice. One of the true standout players here is vocalist (and sometimes guitarist) Joshua Alan, who has a powerful vocal style that has served the band surprisingly well; in his year in the band he has adapted and become a welcome presence. It is great to see all of the band members rise to the occasion for these guests. With his Eddie Van Halen style guitar, Ojeda definitely had this audience of headbangers enthralled. Another evening at Vamp’d with the Sin City Sinners, and another damn good one as well. Ojeda was one of the finest guests the Sinners have had on board in recent memory, and impressed the audience thoroughly. If you are at all a rock and roll fan, seeing a Sin City Sinners show at least once should be on your bucket list, regardless of where you live. Do not miss the band’s forthcoming shows, with even more quality guests scheduled to perform! 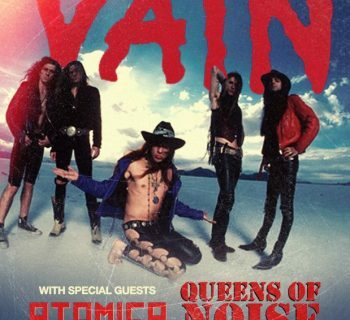 Vain - Classic Bay Area Hard Rockers Come to the City of Sin! 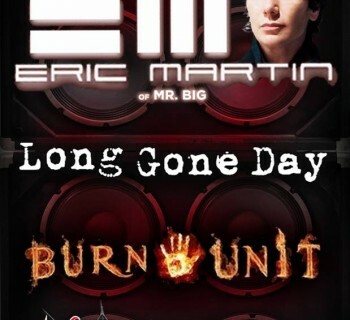 Eric Martin - Mr. Big Vocalist Rocks Vamp'd! KXM - Scatterbrain is the Second Effort From the Superstar Rock Trio!